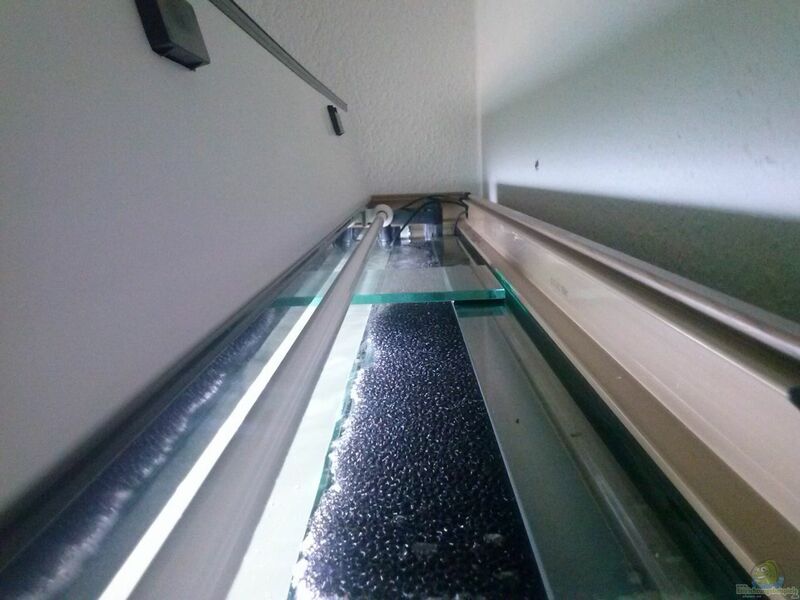 10cm Wide and 120cm long filter shaft stuck over length. 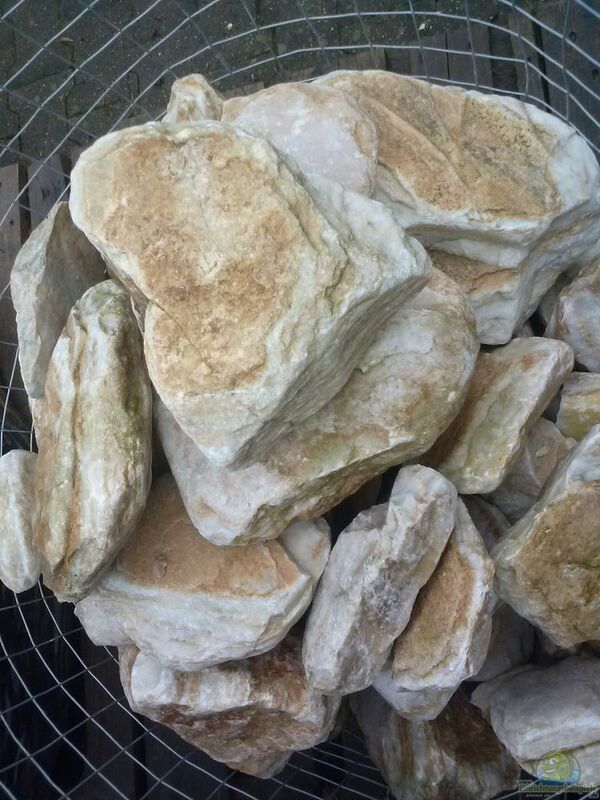 6 artificial stones of size 30-50cm in various forms from Diversa. 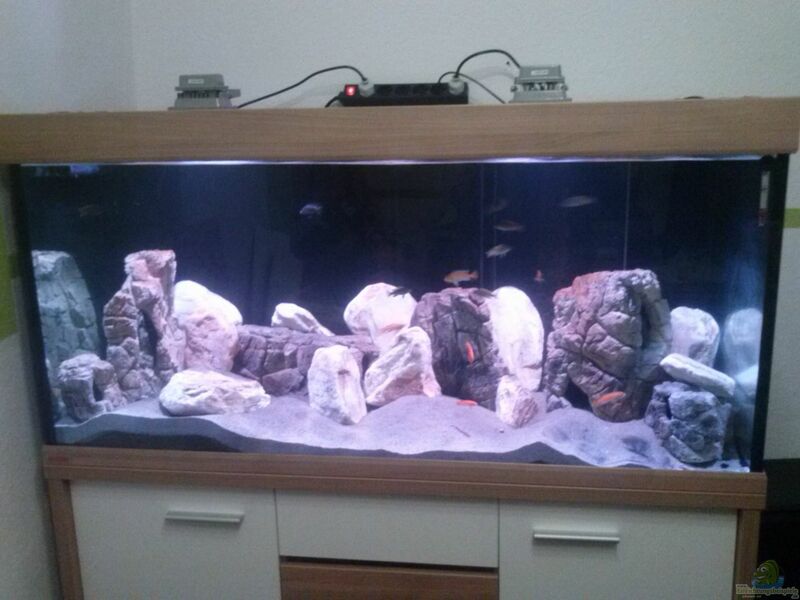 about 100Kg Basaltstein rounded. 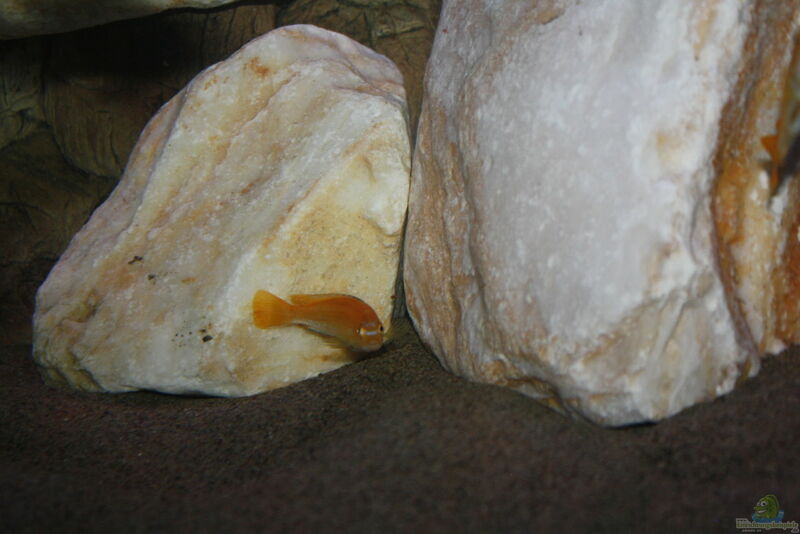 In brief again about 50Kg are more introduced in order to disguise the artificial stones completely. 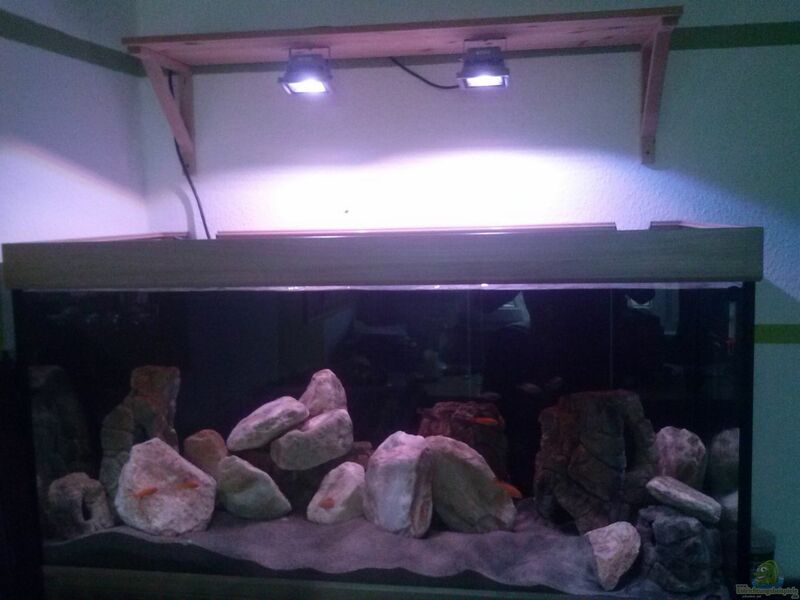 2x10W RGB LED spotlight with remote control, any desired color and adjustable light intensity infinitely variable. 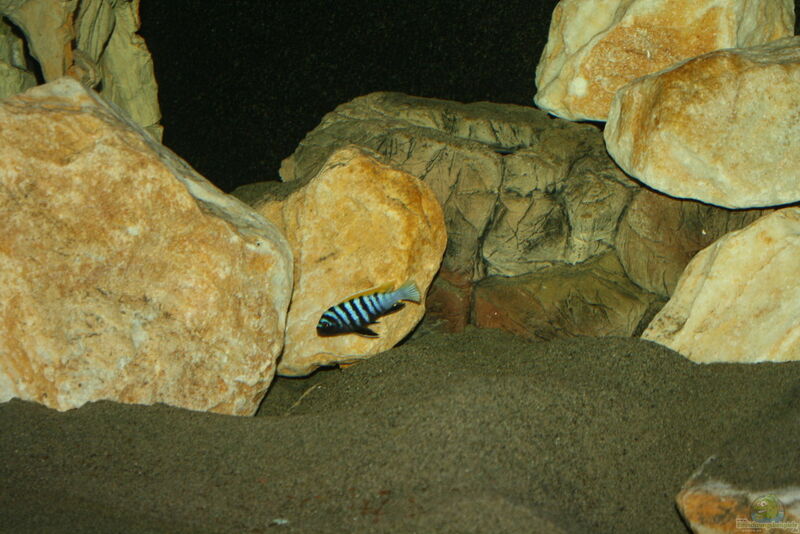 Is filter shaft with coarse black filter mat as a prefilter and sera siporax provided as a biofilter. 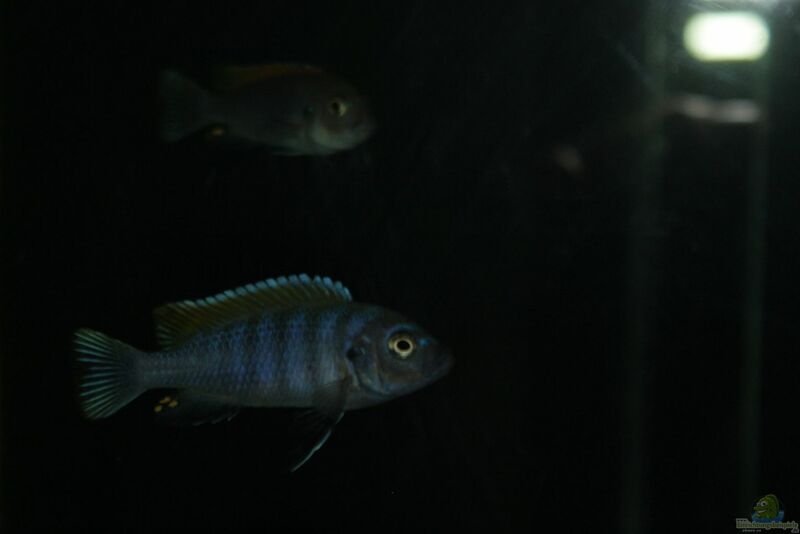 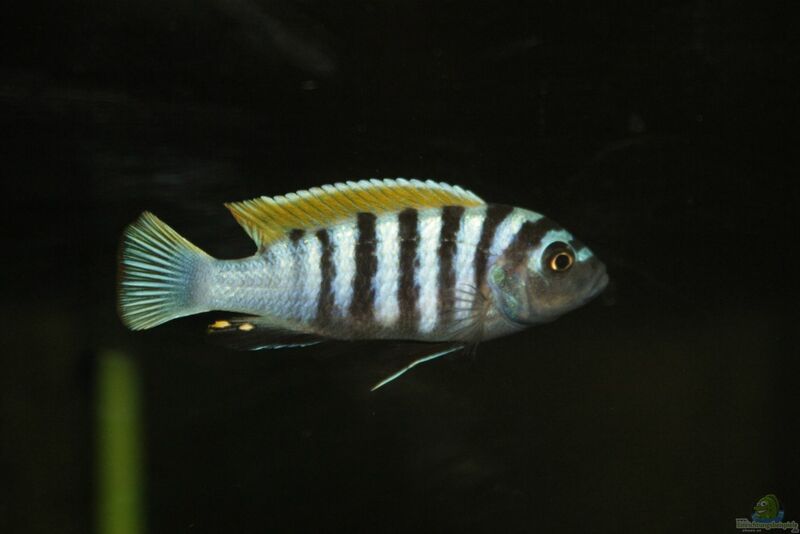 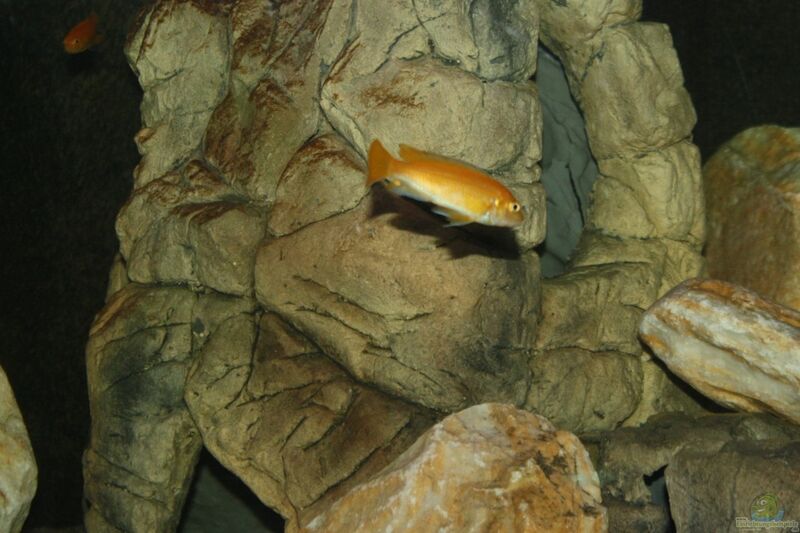 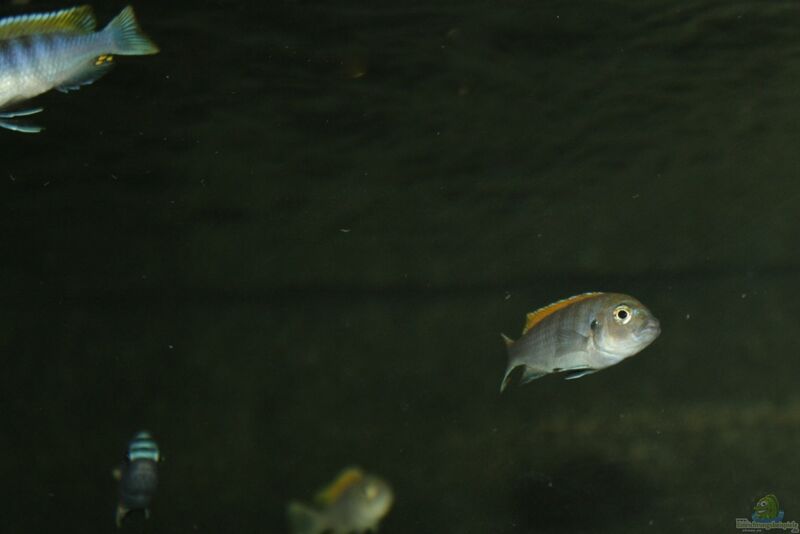 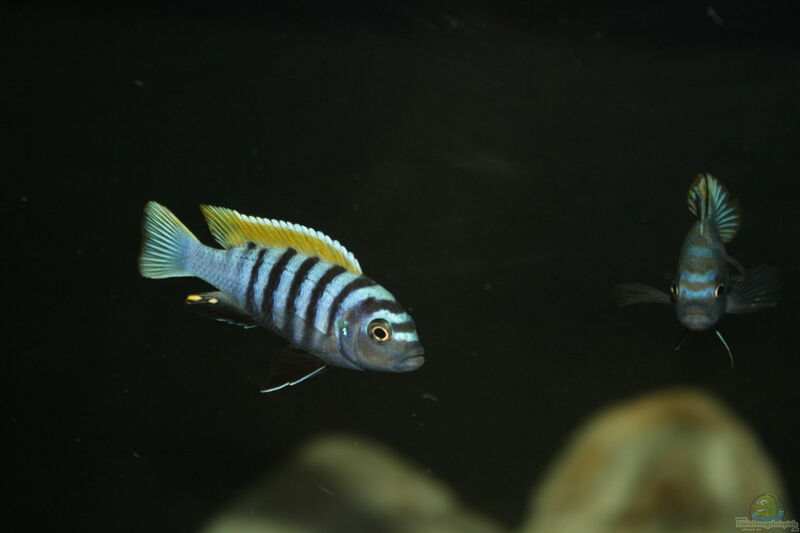 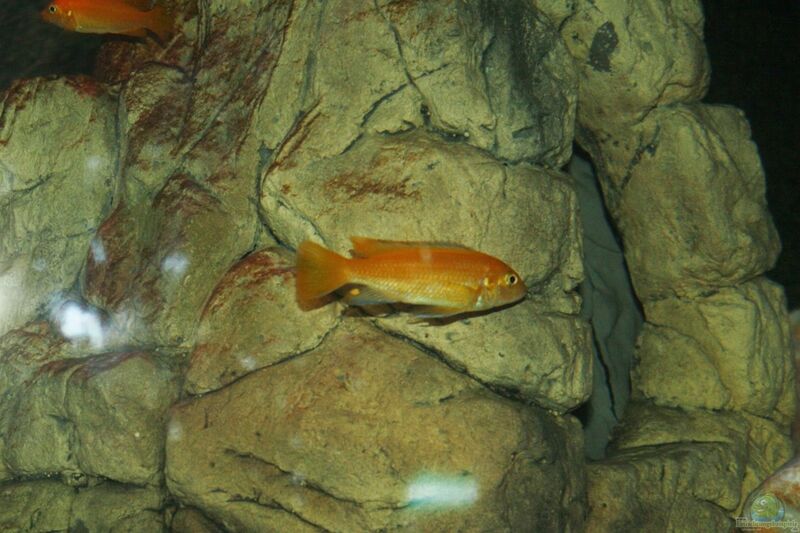 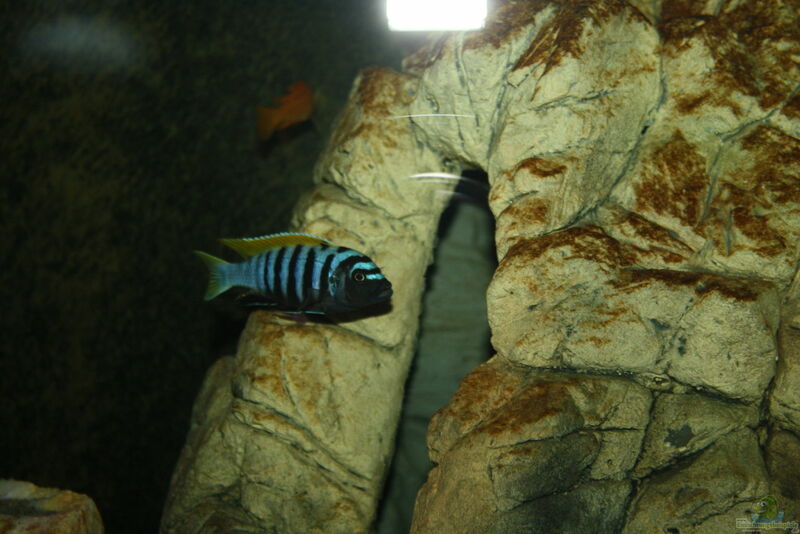 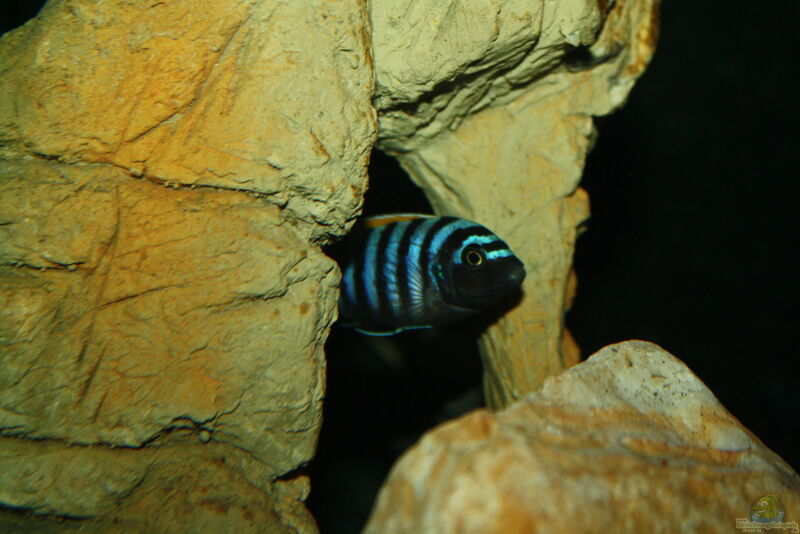 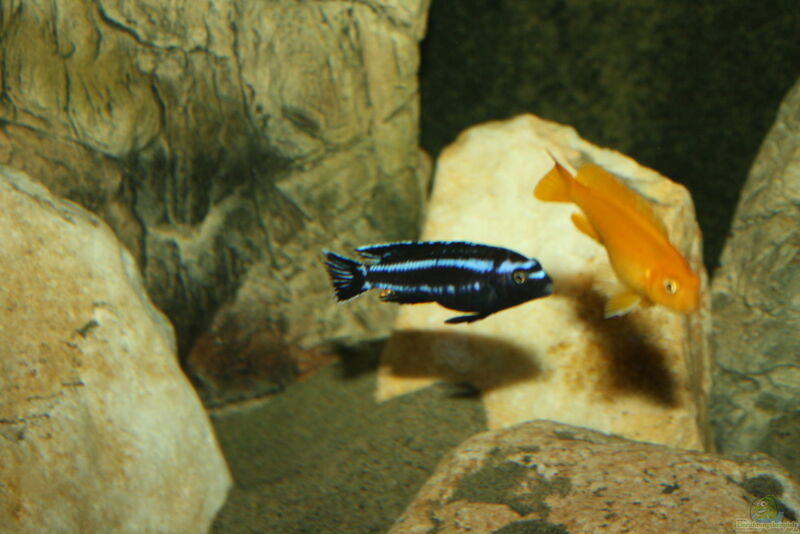 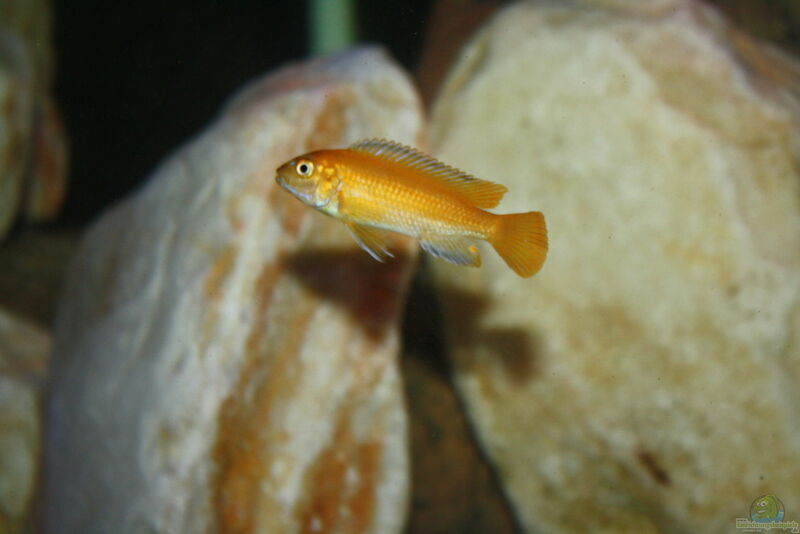 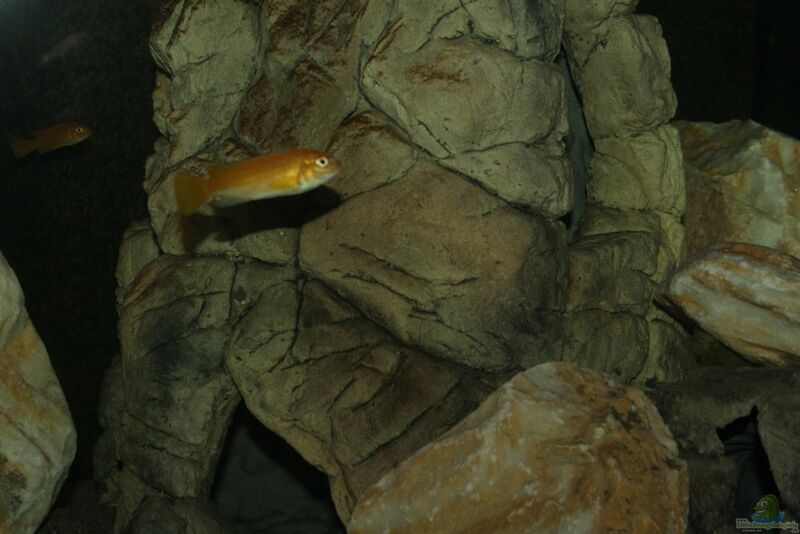 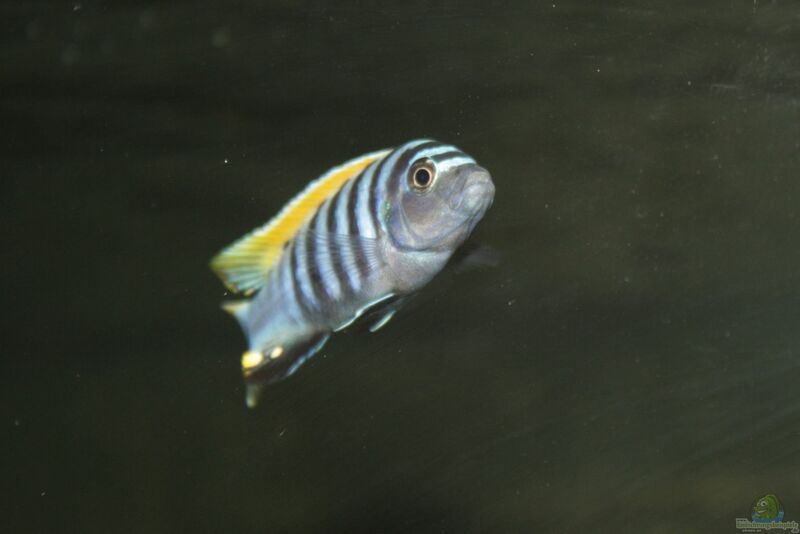 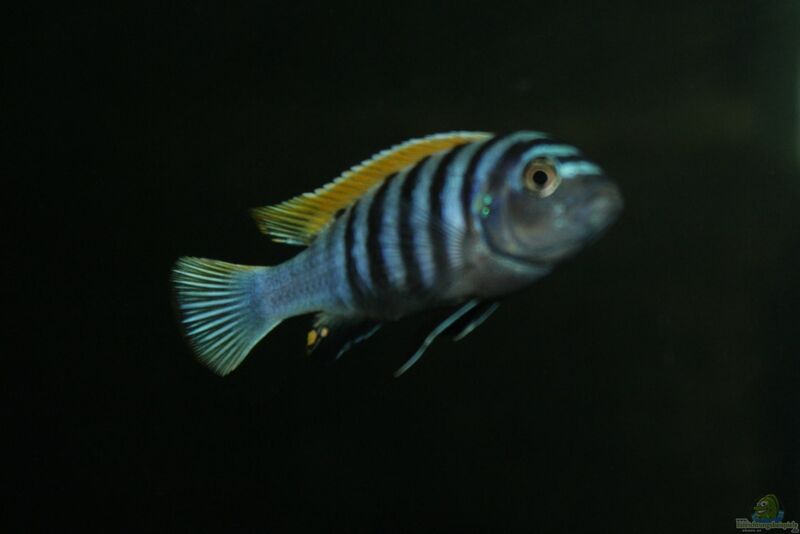 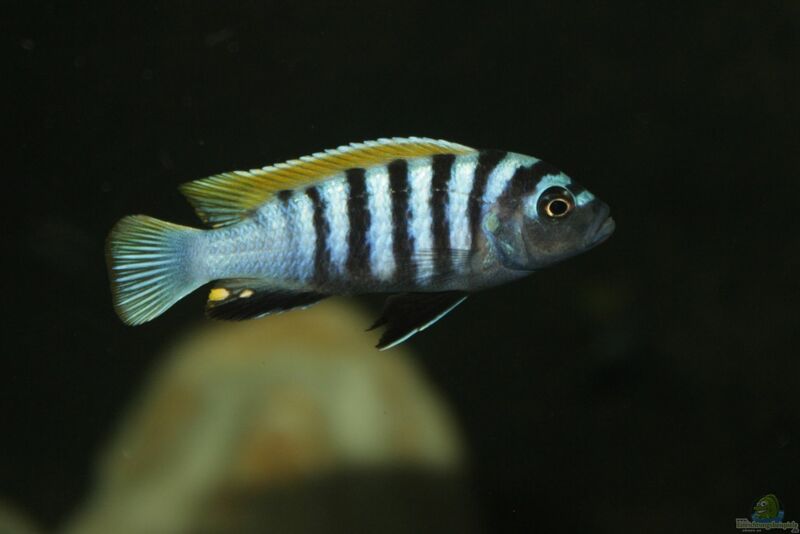 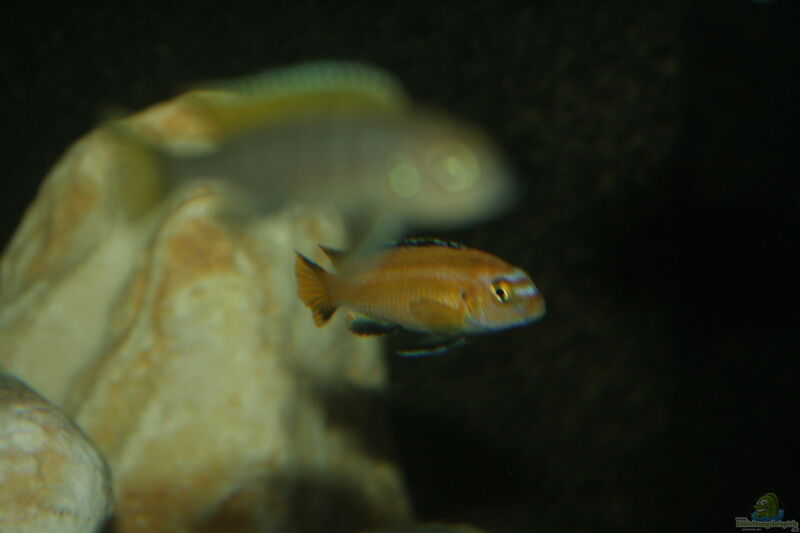 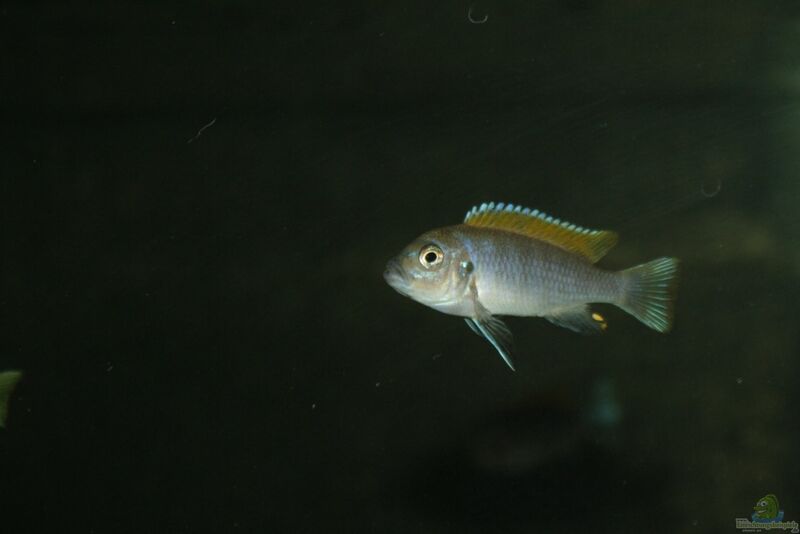 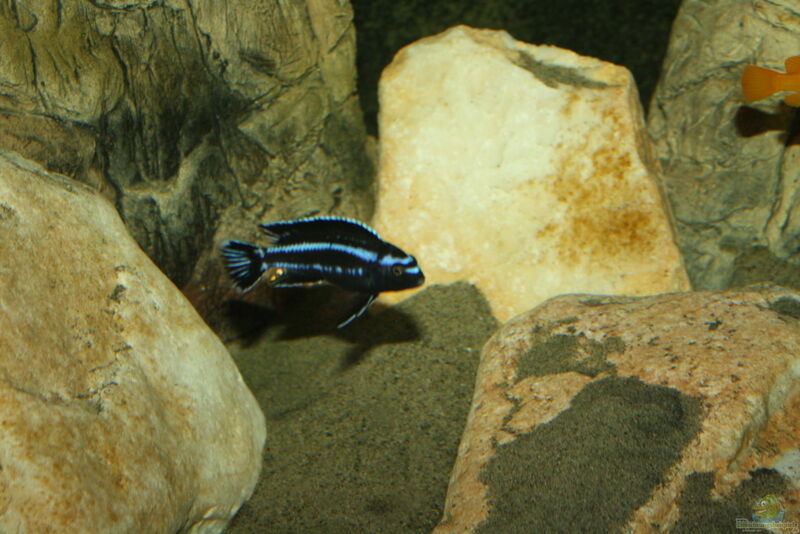 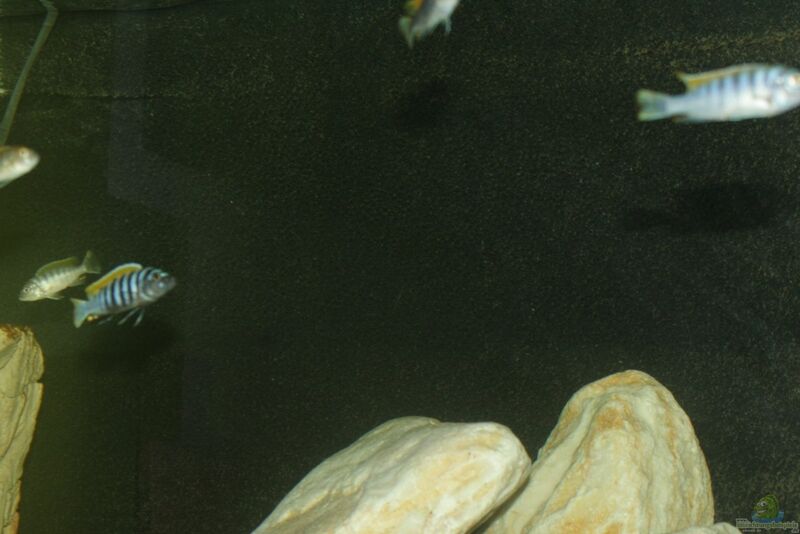 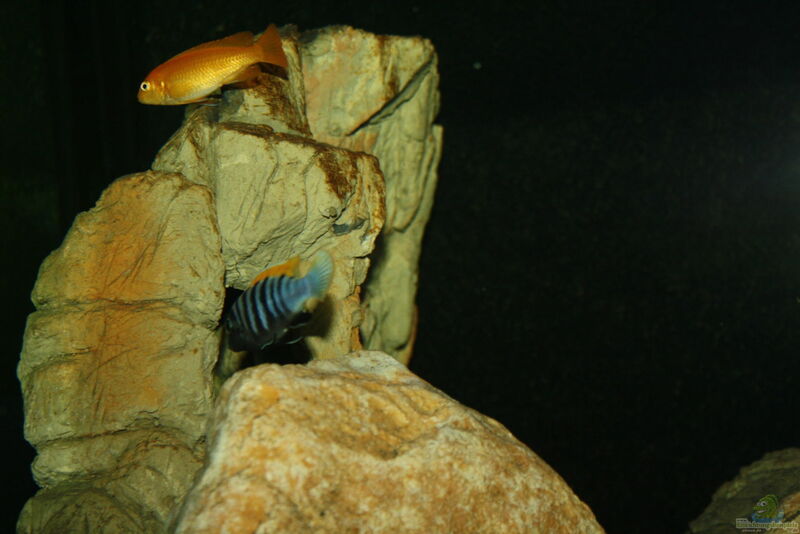 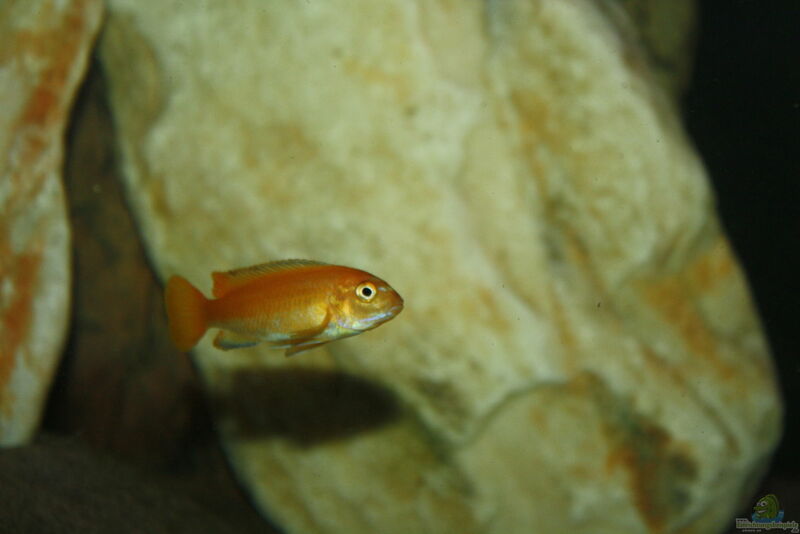 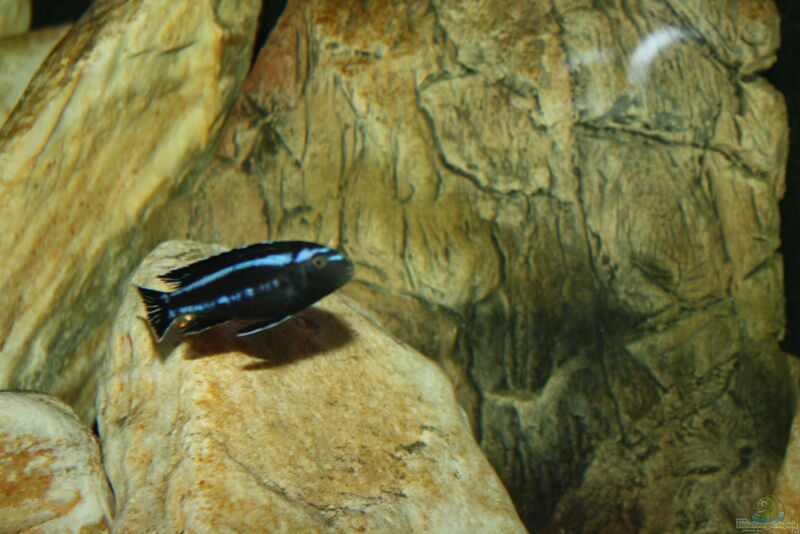 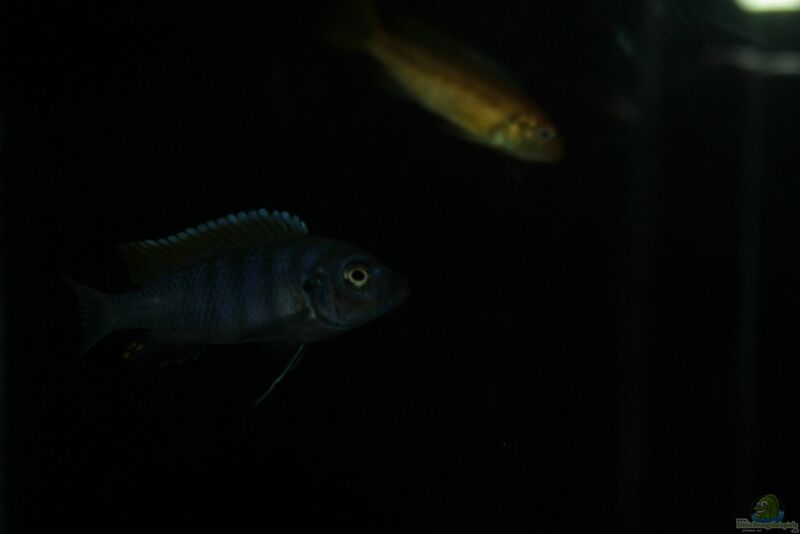 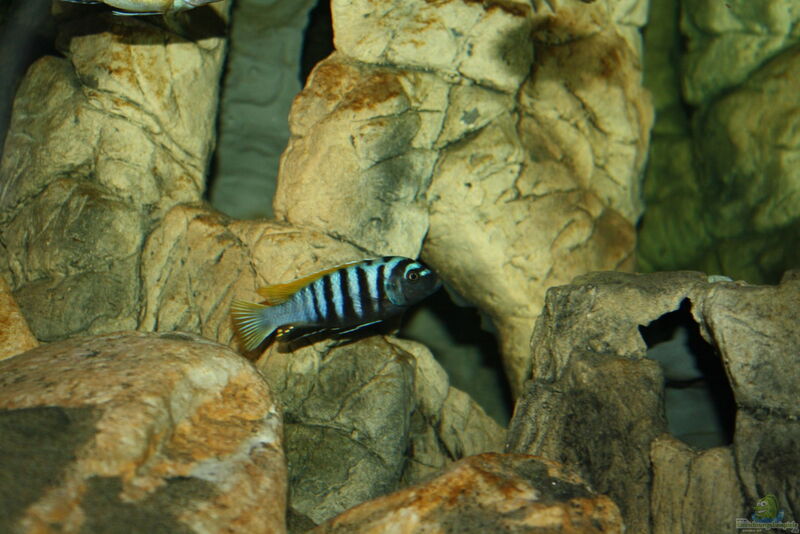 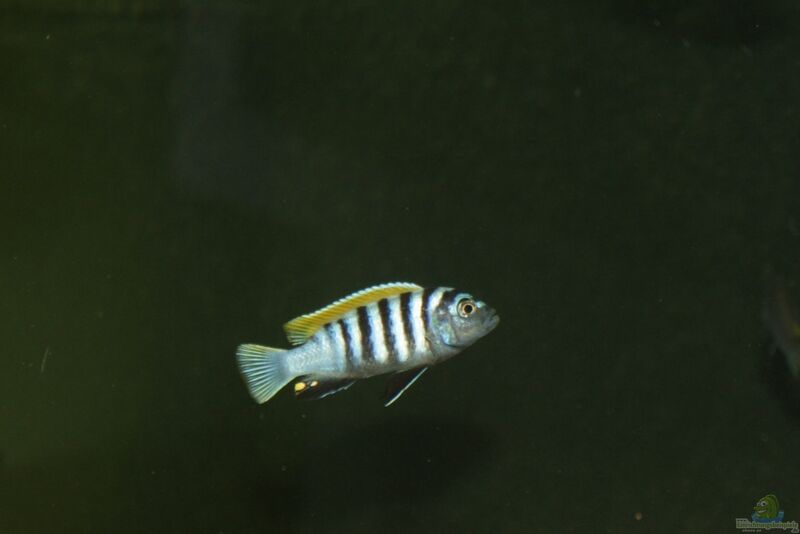 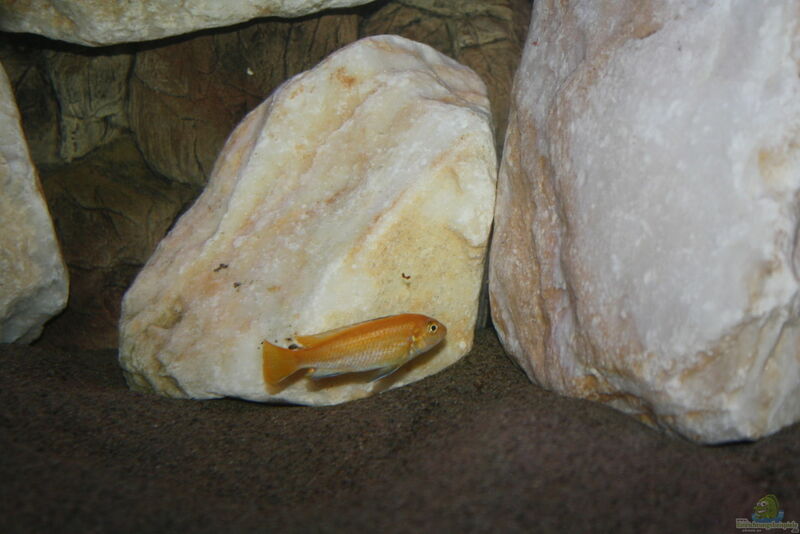 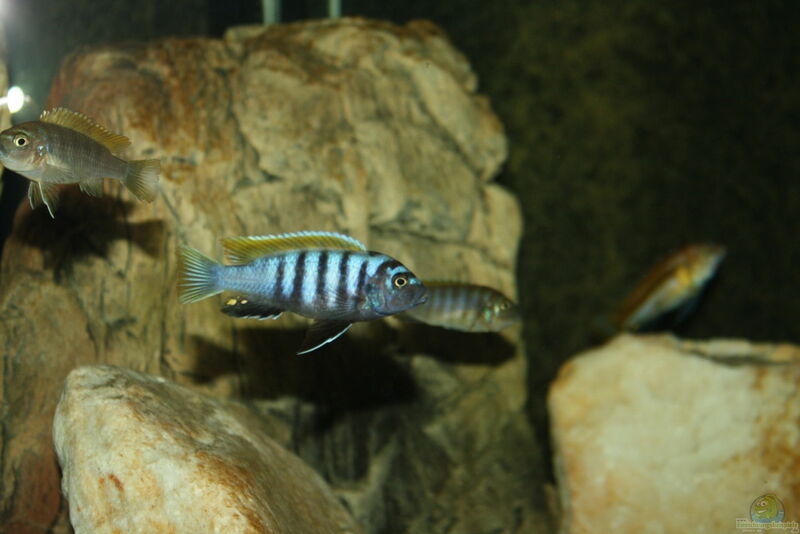 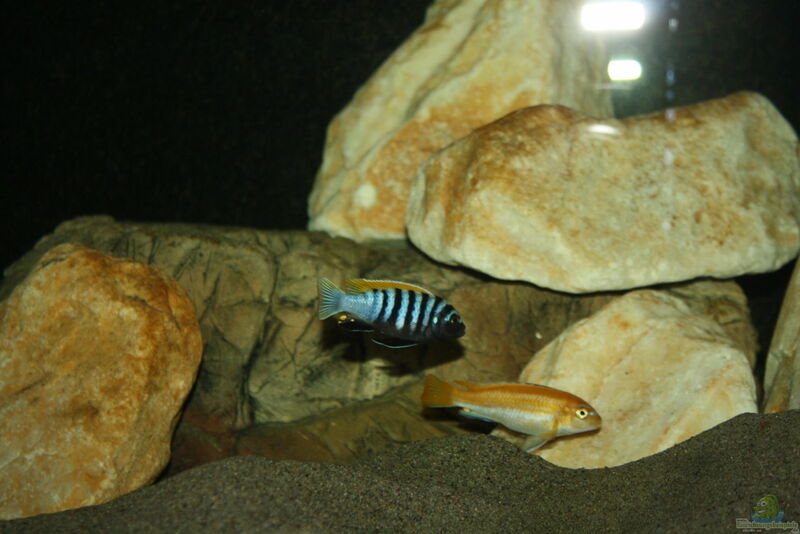 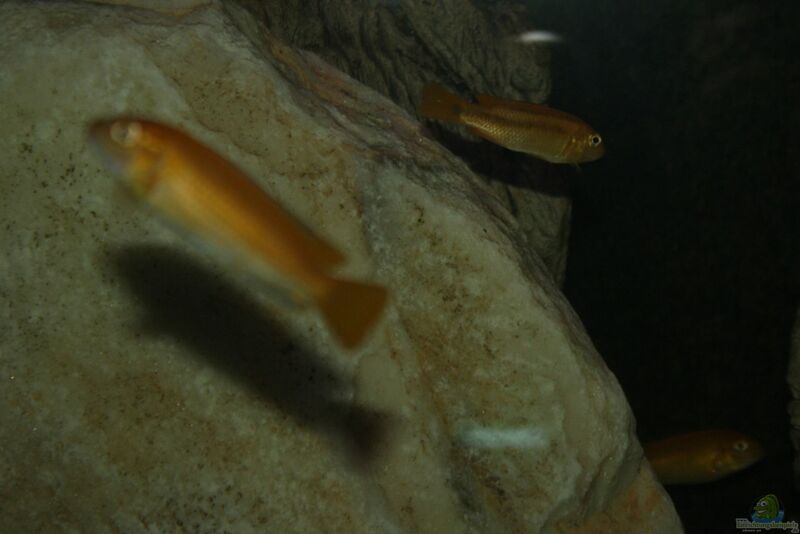 Cynotilapia Afra feed on plankton, territorial males also eat from the nursery of the rock in their area. 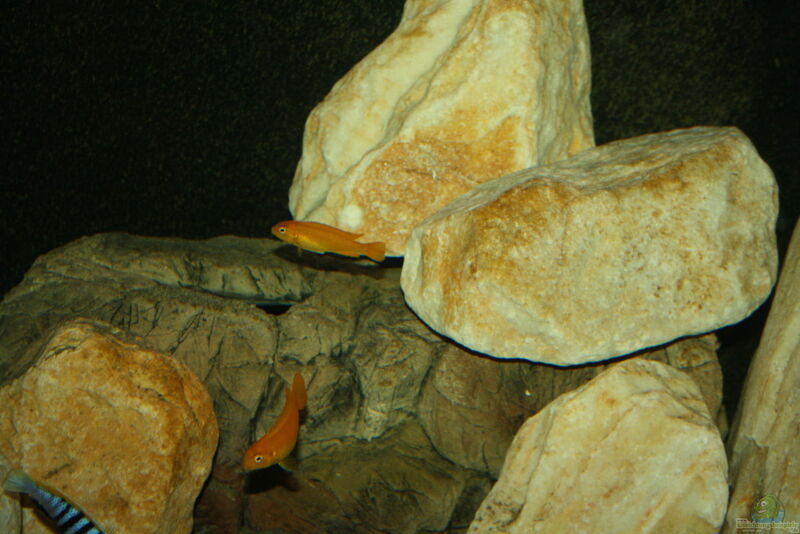 The males defend small caves in the rocky habitat. 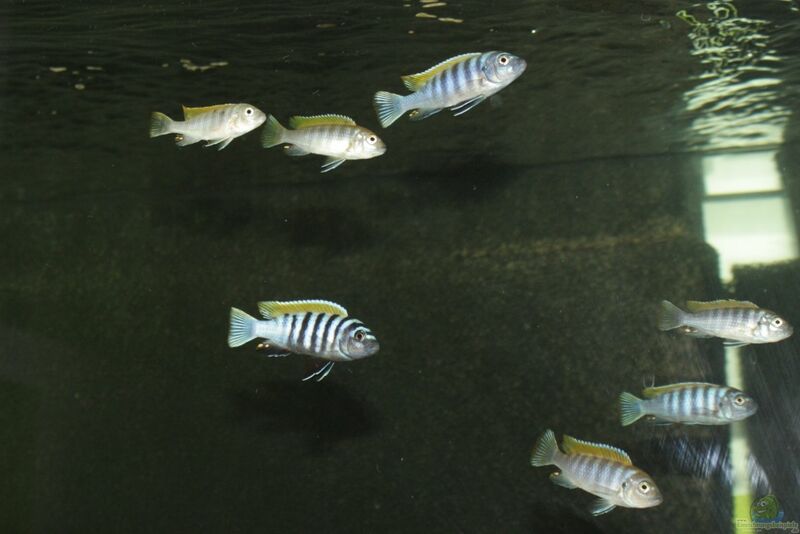 The females are grouped in large swarms and are looking in open water for food. 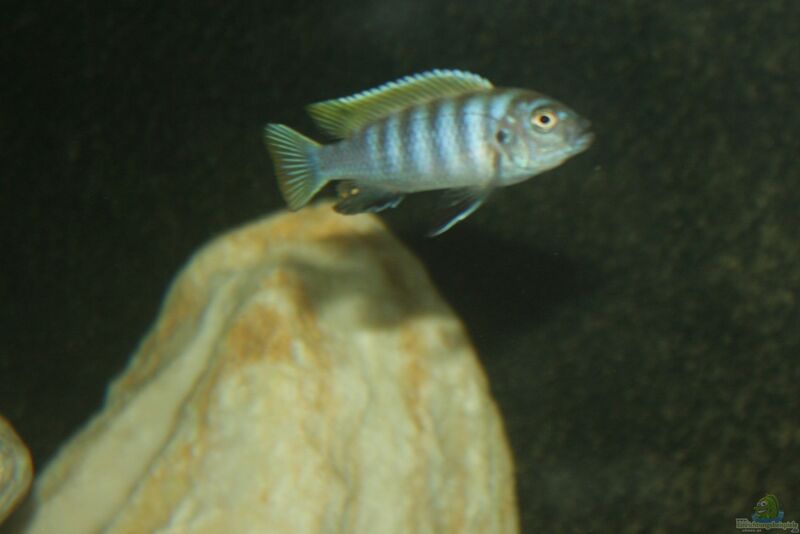 Eats from rock nursery but was already observed in plankton feeding in the open water. 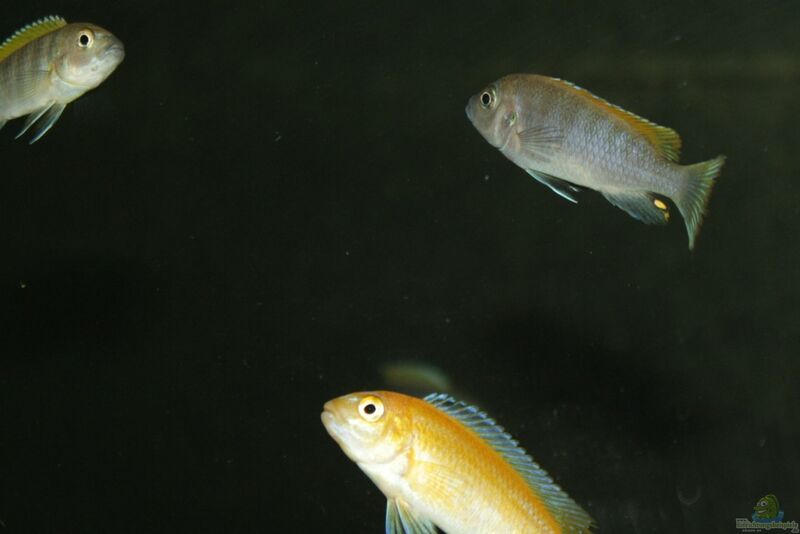 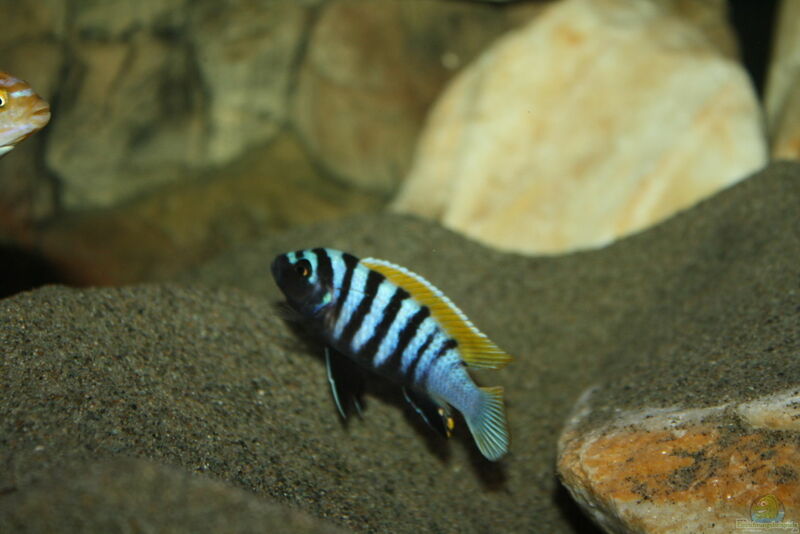 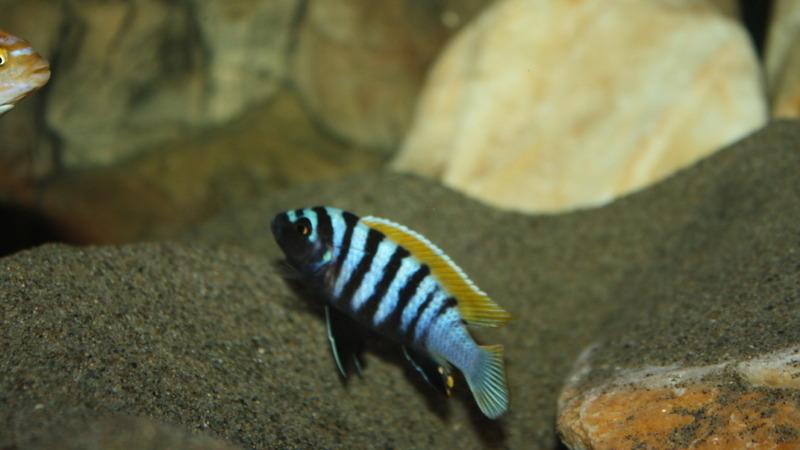 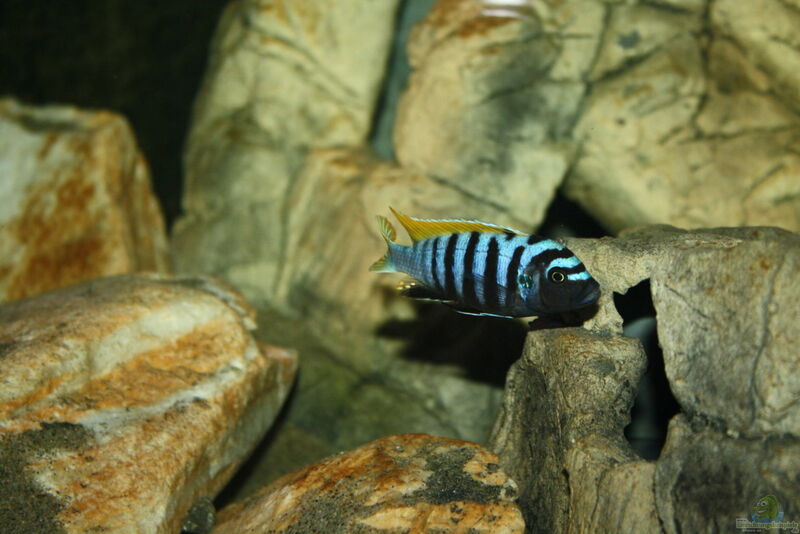 Males in full breeding coloration show no territorial behavior, but selling conspecific males in breeding coloration from their feeding place. 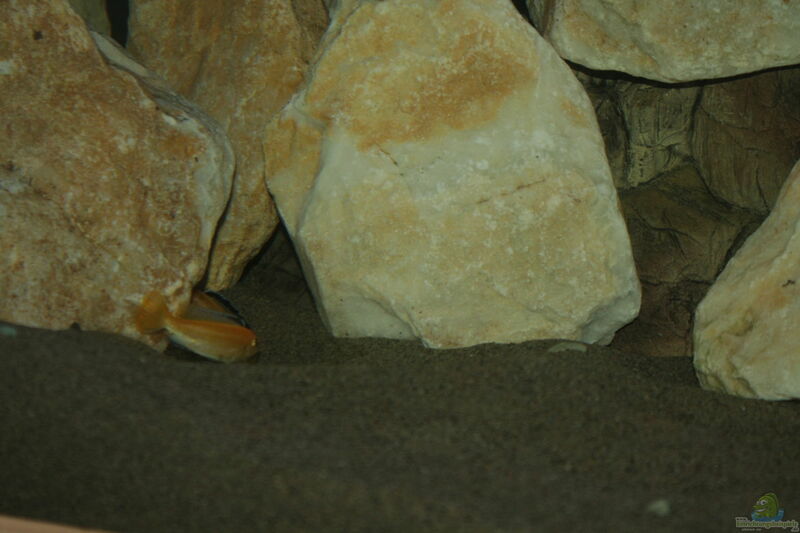 Is spawned on the sand or on a flat boulder. 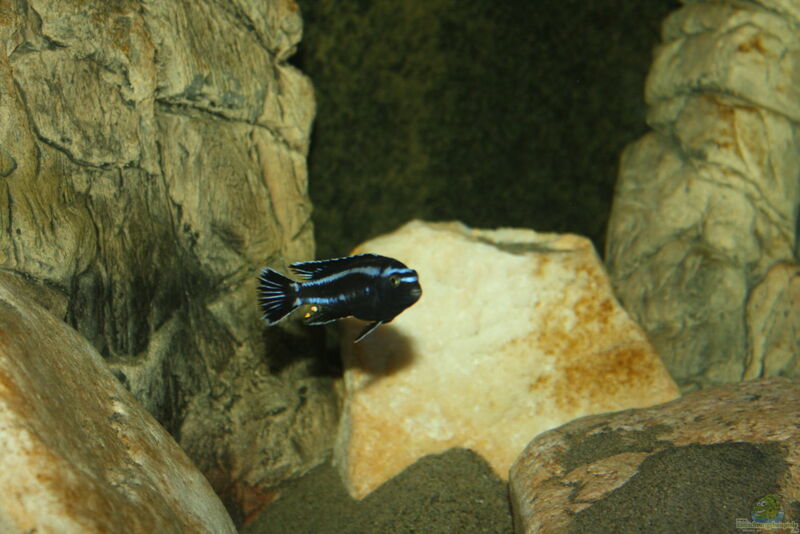 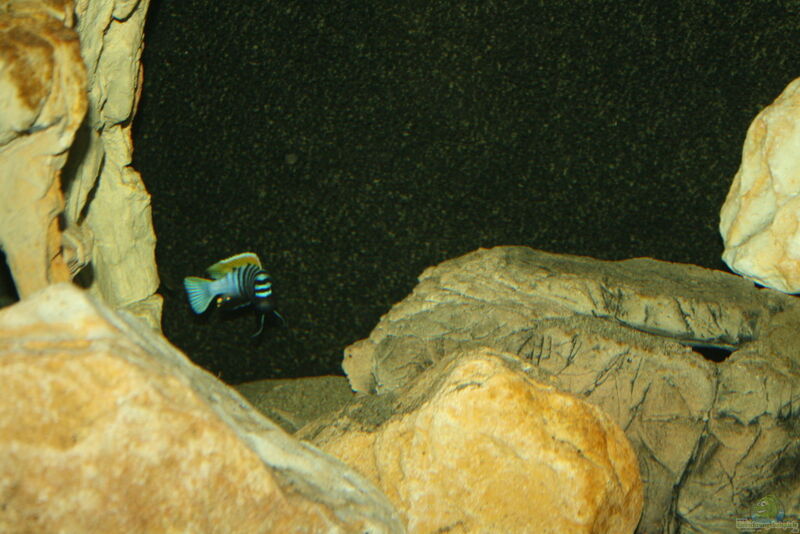 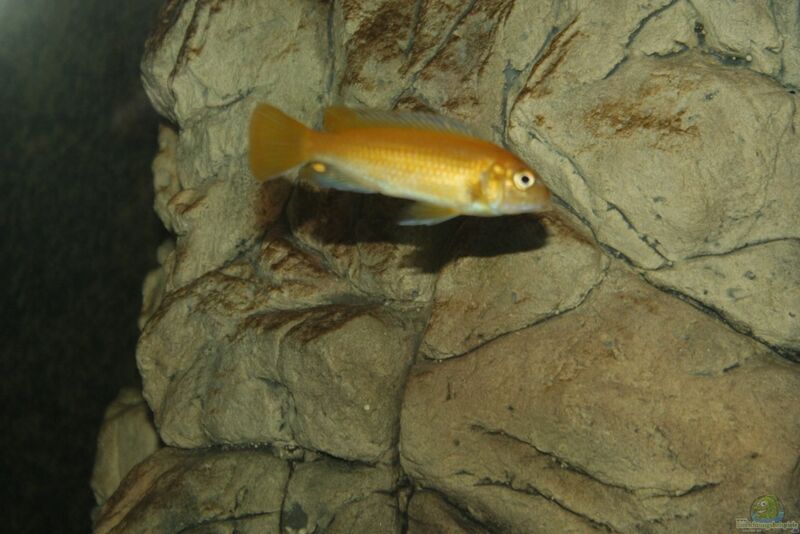 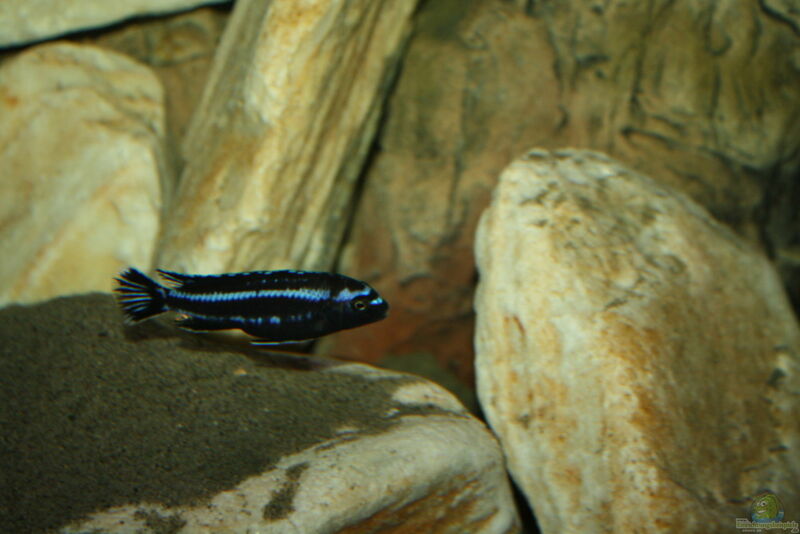 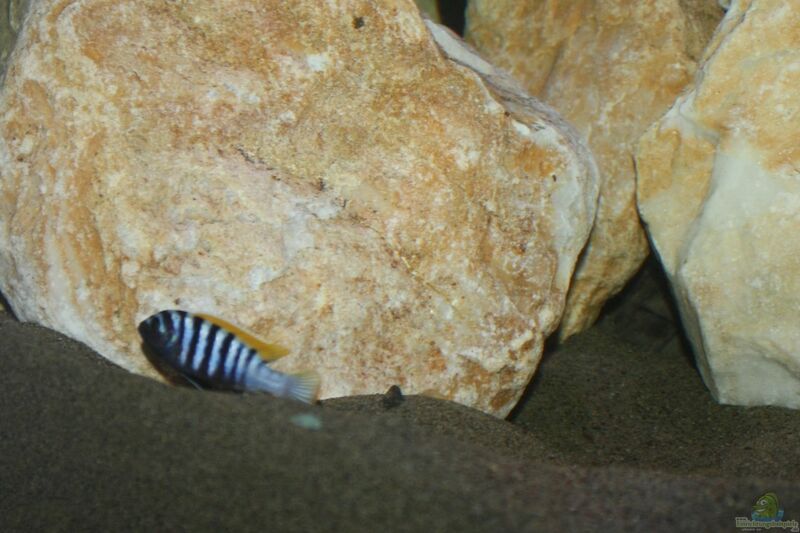 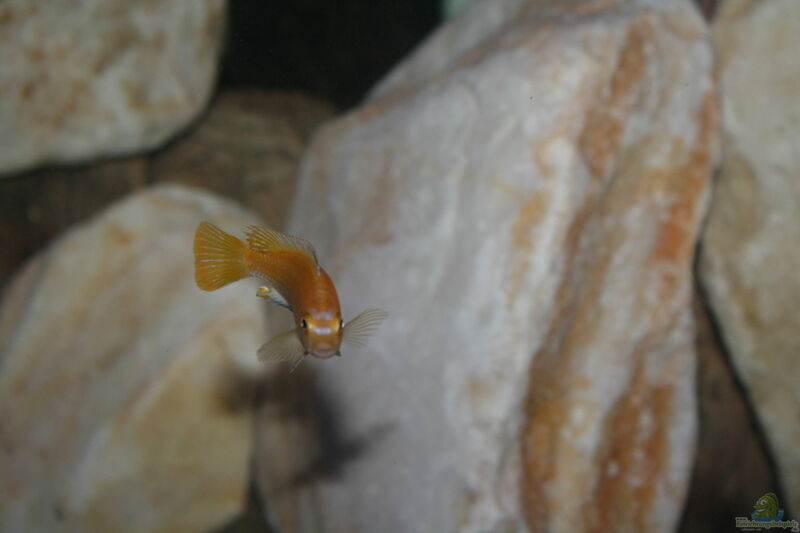 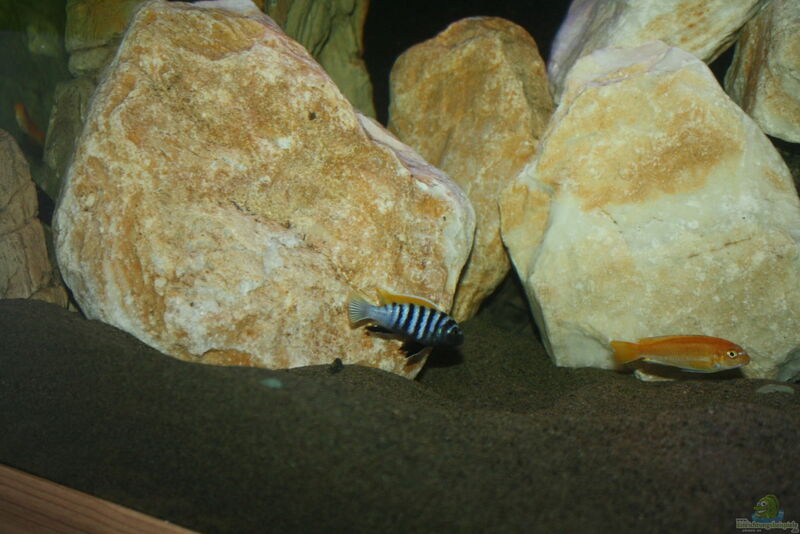 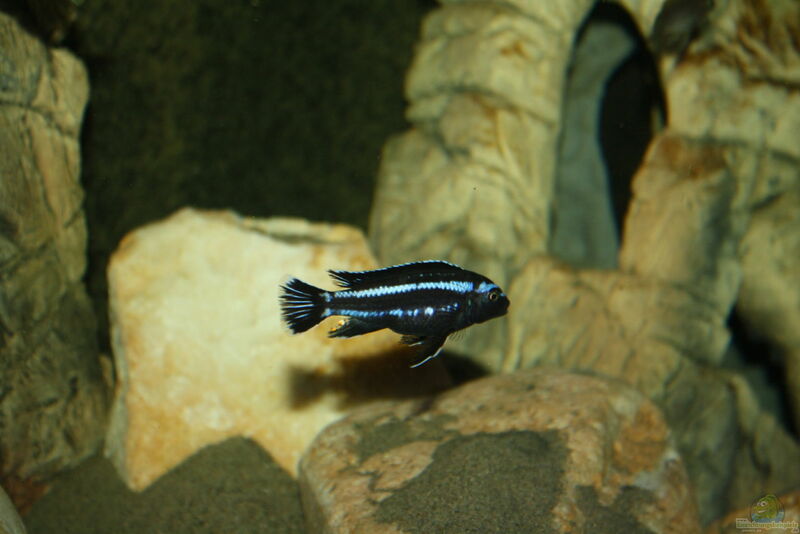 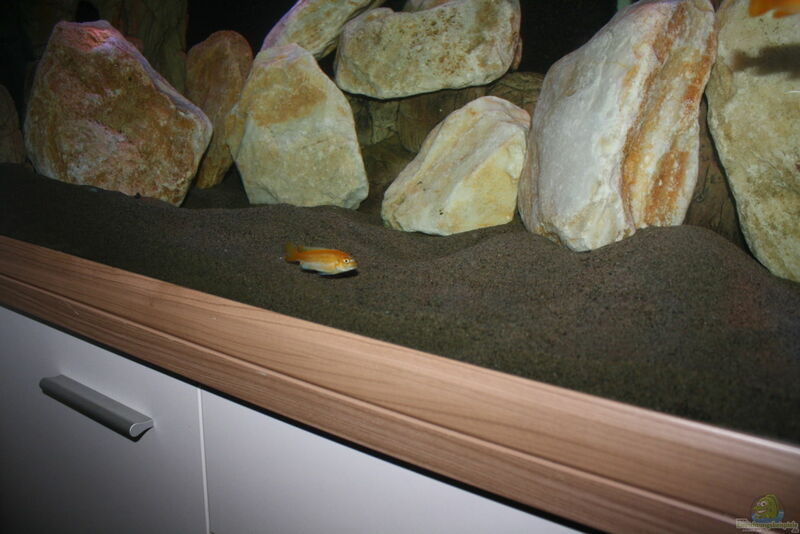 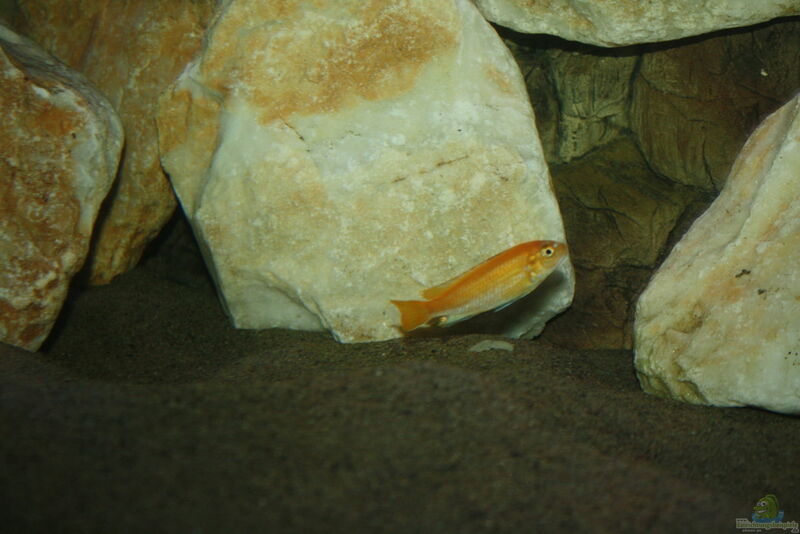 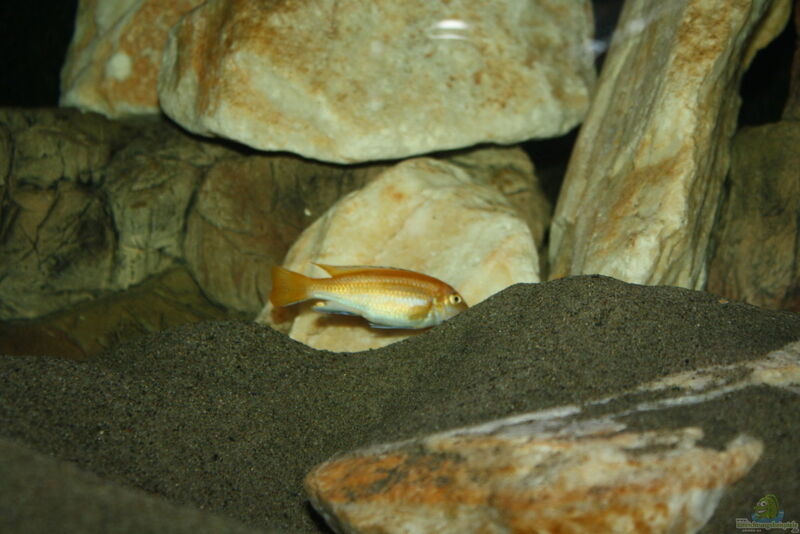 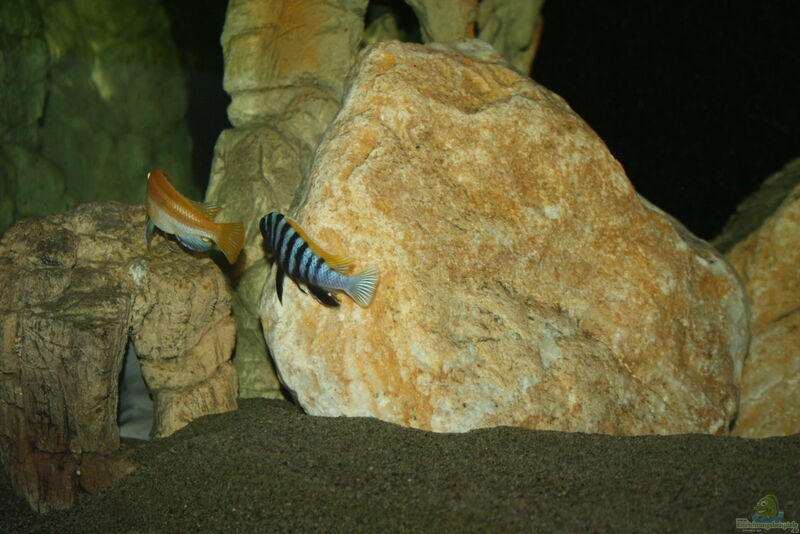 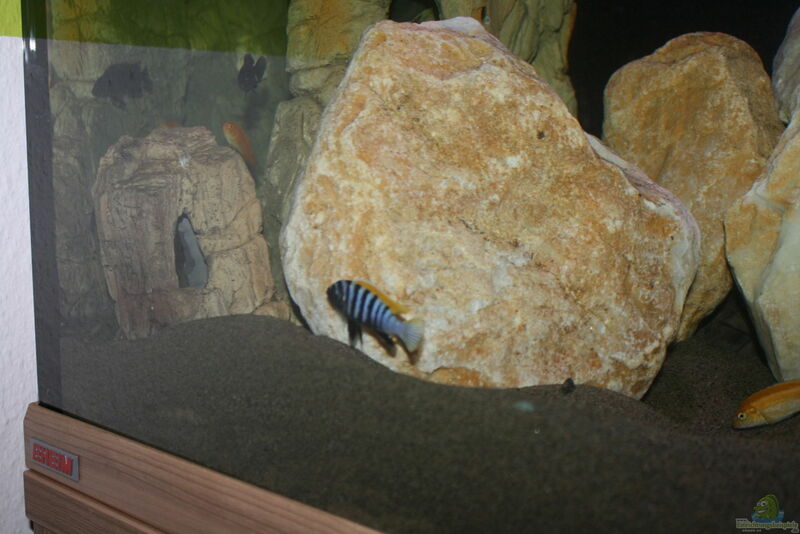 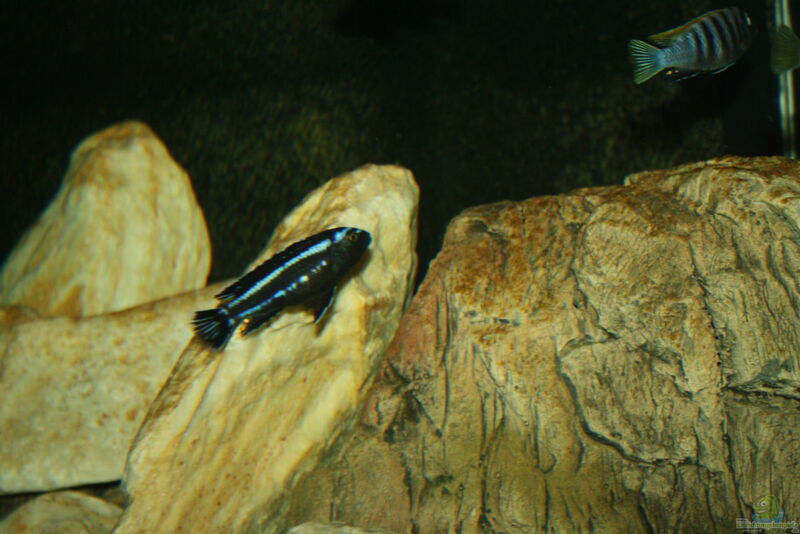 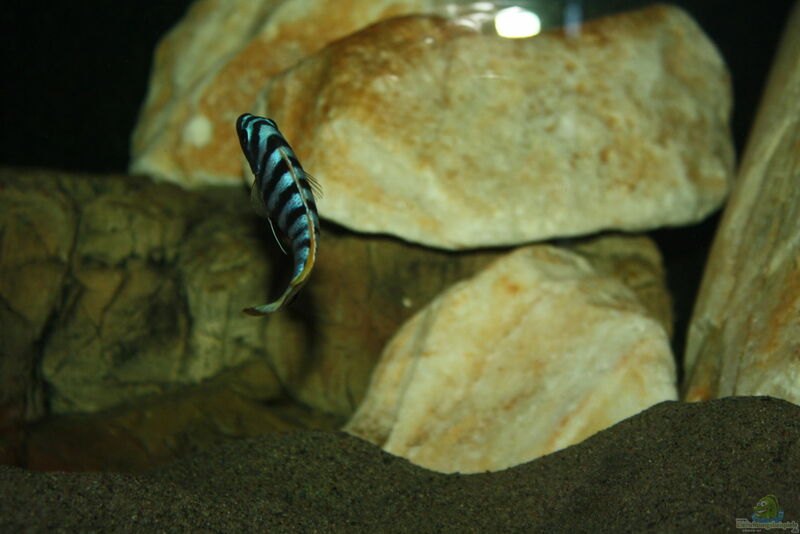 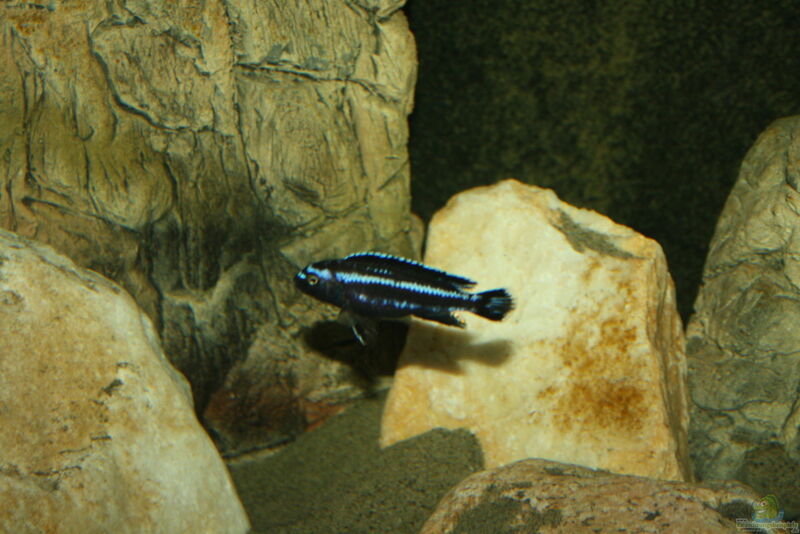 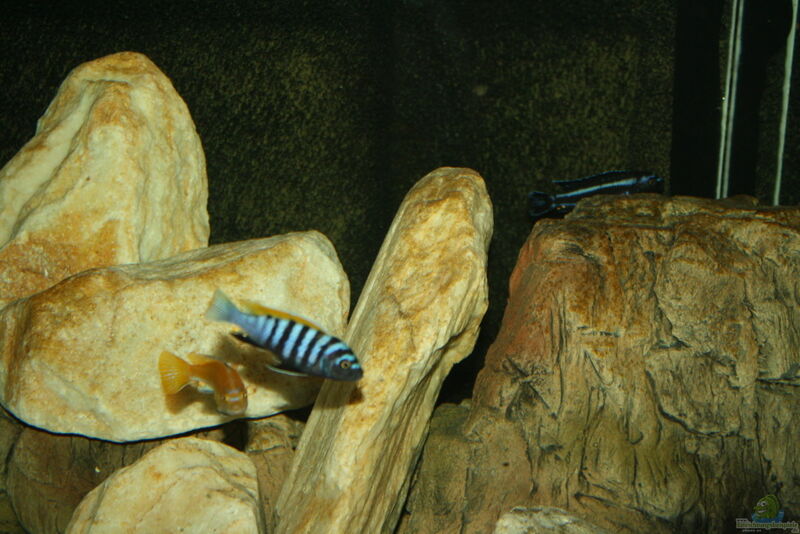 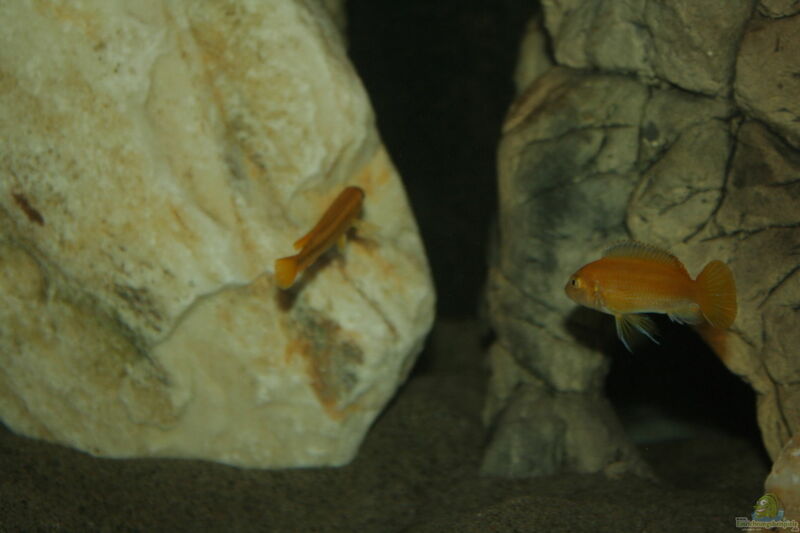 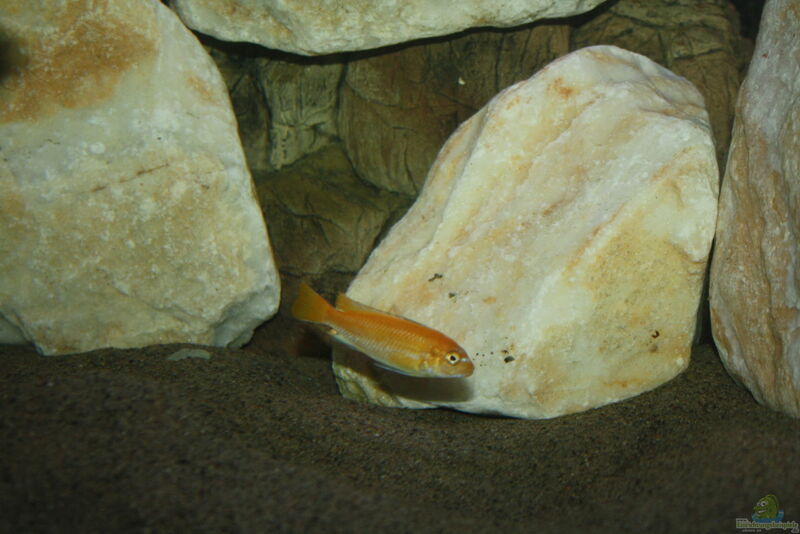 The mouthbrooding females are found in shallow water, where they are hiding between the rocks and the gravel.